The machine used exclusively for export, and we provide the Installation Services. 1. The width can be designed, max size can be 4300mm. 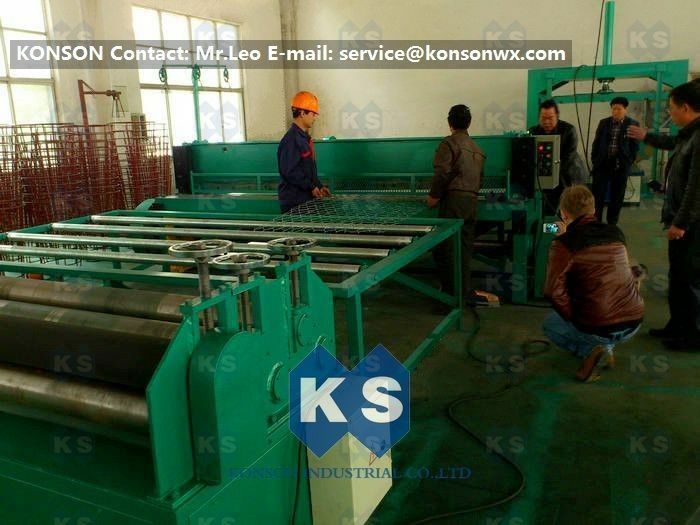 KS netting straightening machine is the necessary equipment of the hexagonal wire mesh production line. It is used for the structural deformation of the forming hexagonal wire mesh, and adjustment of wire's starting deformation, it also can reduce the deformation of wire stress, have good effect. This machine has separate transmission, manual adjusting, the aperture of pressing roll, handle control bottom, it can realize the upper roller's alone adjustment, inching and continuous sending into the material roller, it is easy to cooperate and grasp.